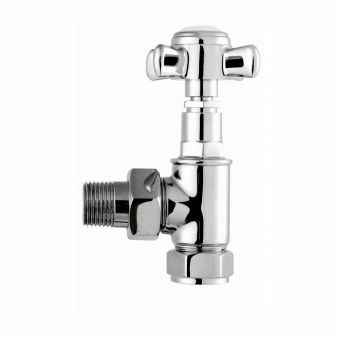 A striking array of manual valves from Zehnder set to bring your home into the 21st century. 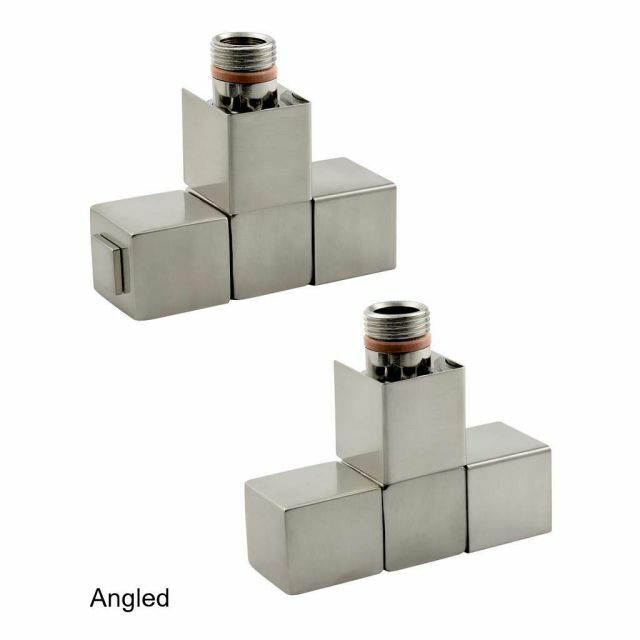 Their distinctive square styling is best suited to radiators that also exhibit that profile such as Bay, Cova & Kee, also from Zehnder. 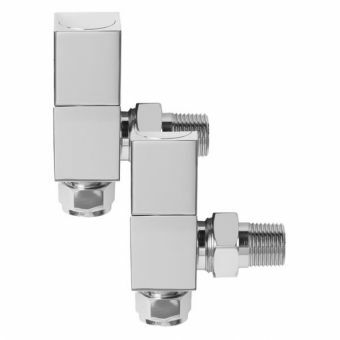 Supplied in two distinctive sets, these valves will serve to easily connect your radiators and towel warmers through the floor or from the wall with the added bonus of a double angled set which keeps the controls neatly underneath the rails to prevent knocking the head when walking past. 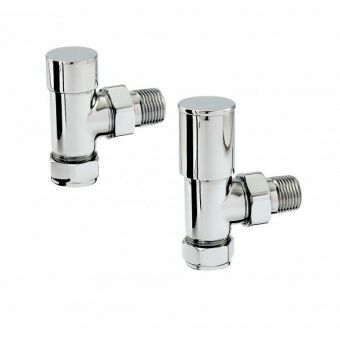 Designed to fit all standard 15mm pipework they are supplied as a pair with a control valve and a lockshield valve so the radiator can be isolated for servicing if required. 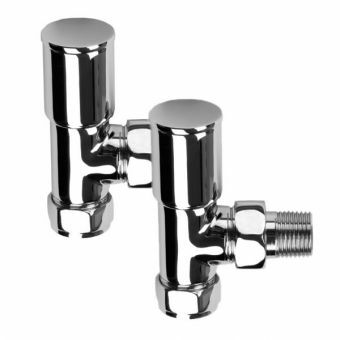 Available in brushed stainless steelor sprakling chrome finishes. 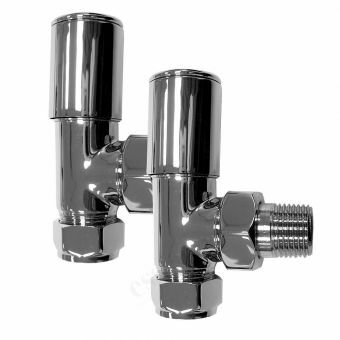 All valves (pair) supplied to suit 15mm tube and pipe. 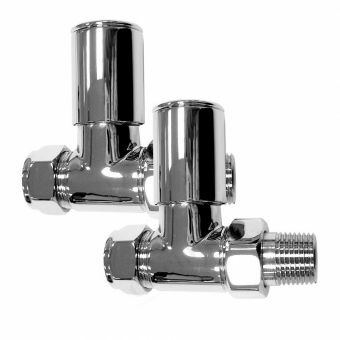 Essential Deluxe Straight Radiator Valves (Pair 15 mm). 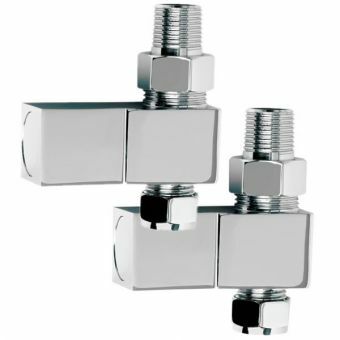 Essential Deluxe Angled Radiator Valves (Pair 15 mm).